Since its inception in 1985, the Super Mario series has proven to be the avant garde of video games, prioritizing gameplay innovation and concepts unique to the video game medium over all else. This design philosophy has not only allowed the core platformers of the Super Mario series to consistently reinvent themselves, but has also turned its titular plumber into gaming’s renaissance man, able to adapt to seemingly any genre Nintendo decides to cast him in. Of the various “spinoff” Mario titles, Mario Kart gets the most widespread recognition, as it created the ‘kart racer’ sub-genre while simultaneously producing a series that rivals the core Mario titles in popularity. But while Mario Kart might be the most famous of Mario’s detours, the most outstanding might just be the 1996 SNES classic, Super Mario RPG: Legend of the Seven Stars, the title that sent Mario into most unfamiliar territory. 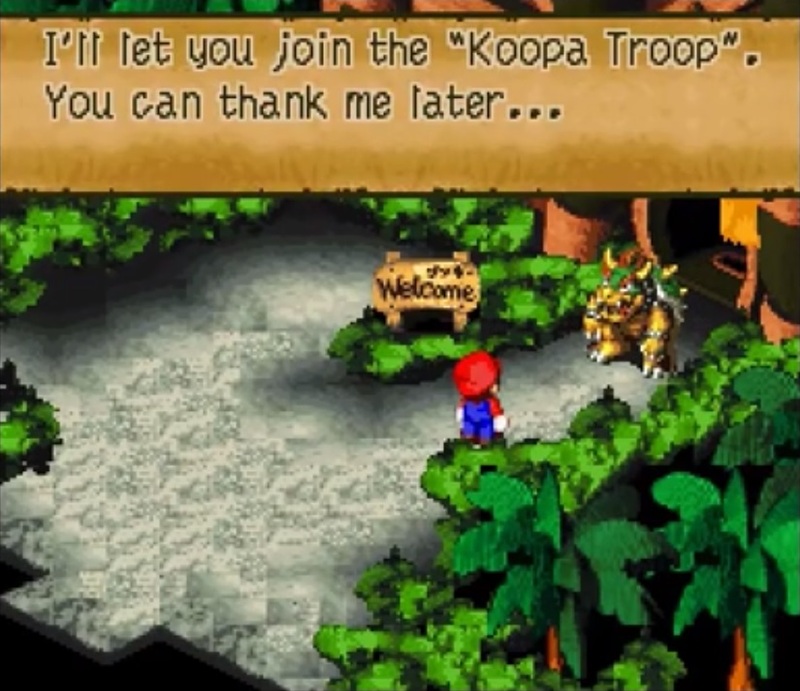 Super Mario RPG was a bold venture. A joint effort between series’ publisher Nintendo and Final Fantasy developer Square-Enix (then Squaresoft), Super Mario RPG took the characters and world of Nintendo’s flagship franchise, and merged it with the RPG genre that Square was renowned for. Though a fan-favorite today, at the time many wondered if converting the Mario series into the narrative-heavy RPG genre could work. The fact that Super Mario RPG remains one of the most beloved Mario games should be a testament to just how successful the finished product was. Its hefty reputation is well deserved. 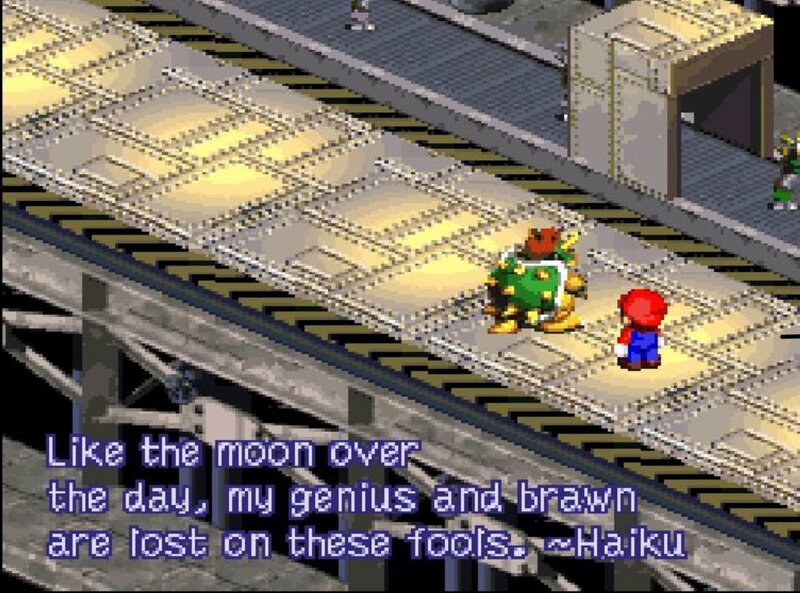 While Super Mario RPG is a joining together of the series and genre of its title, what makes it work so well is how it both pays homage and parody to both parties involved, and turns them on their heads. 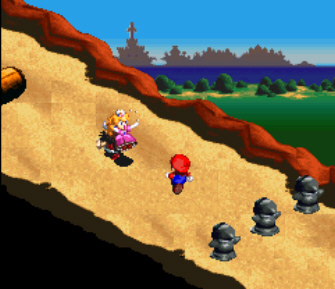 The story here is that – just as Mario is about to defeat Bowser for another daring rescue of Princess Peach (here called Toadstool, as she was known in the west at the time) – a massive earthquake hits the scene, throwing Mario, Bowser and the Princess to different corners of the Mushroom Kingdom. The source of this quake is a giant, anthropomorphic sword that has fallen from the heavens and plunged into Bowser’s castle. The sword is called Exor, and declares Bowser’s Keep to be occupied by its master, Smithy, who plans to conquer the rest of Mario’s world. As it turns out, Smithy is already closer to world conquest than he knows, as Exor slashed through the Star Road on its descent onto Mario’s world, shattering it into seven magical Star Pieces. The Star Road is what allows people’s wishes to come true. With its power scattered into seven fallen pieces, the wishes of the denizens of Mario’s world can no longer come to light. It then becomes a race between Mario and his companions to prevent the Smithy Gang from claiming the seven Stars, which would result in the evil Smithy’s dark desires coming to fruition. What makes this story memorable is that it both adds a serious narrative to the Super Mario series (for the first time), while still maintaining the franchise’s whimsical lightheartedness. The premise feels like it could have been pulled out of a Disney movie, and the game takes advantage of the nature of the Mario series to add a good dose of humor into the serious RPG plot. Mario is joined on his adventure by four companions: The aforementioned Princess Toadstool is the obvious ally, but for the first time in the series, Bowser fights alongside Mario in a quest to reclaim his castle. 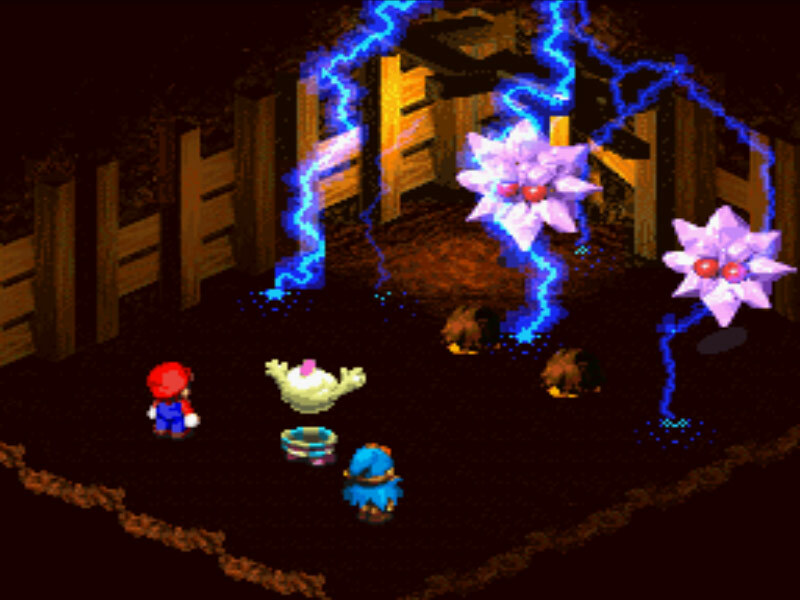 The remaining two members of Mario’s party were original to Super Mario RPG; Mallow, the fluffy, cloud-like black mage of the group, and Geno, an otherworldly spirit occupying an action figure for its body. It’s a memorable cast of characters. Mario is his usual, silent self, but the Princess becomes something of the ‘tough guy’ of the party after growing tired of being rescued, while Bowser steals the show as the insecure brute with a heart of gold. Meanwhile, Mallow is the kid of the group wanting to prove himself, while Geno has connections to the Star Road and is something of the Gandalf of the team (the wise, old badass). Mallow and Geno left such an impression that – although they have yet to properly appear in another game – fans still long for their return. No matter how iconic or likable these characters are though, it wouldn’t mean much if the game they starred in weren’t great. Luckily for them, Super Mario RPG was one of the best games of the genre’s golden era, and remains one of Mario’s timeless classics. The battle system here at first looks like the usual turn-based affair, but with some fresh changes, such as each action in battle being mapped to specific buttons (A for regular attacks, B for defense, Y for special moves, and X for items). 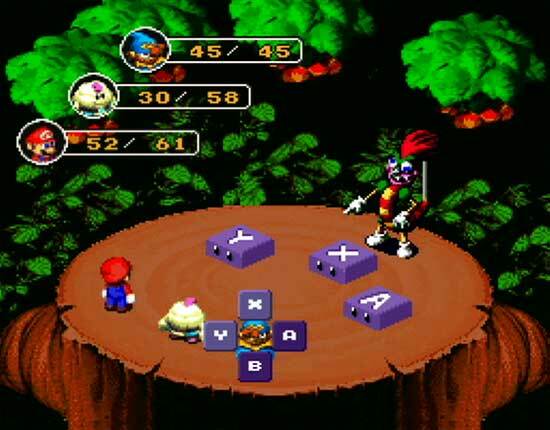 The biggest addition Super Mario RPG makes to RPG battles is one that’s subtle, yet game-changing: Action Commands. During battles, players have more involvement than in other RPGs of the time. During attacks, well-timed button presses can increase damage (and timing them just right during enemy attacks can reduce damage), while special moves have their own interactive elements (repeated button-presses or timing, holding a button and releasing it, etc.). It’s such a seemingly simple twist on RPG norms, but it adds so much more fun to the proceedings than simply selecting items from menus. There are some small quibbles in that there’s a lack of on-screen directions to inform you of when to use button-presses during many actions (directions are briefly explained before certain special attacks, but others are trickier to figure out). Still, most of the Action Commands aren’t too hard to get the hang of, so nothing’s too cryptic. But if you do manage to master them, you may find that the overall adventure is a bit on the easy side, though I suppose turn-based RPGs aren’t known for brutal difficulty anyway. Still, these hardly qualify as complaints, as they never get in the way of the enjoyment of the gameplay, story, or overall fun. Meanwhile, wandering through the overworlds is also improved over other games in the genre, with just a dash of platforming added into the mix for – you guessed it – more interactivity than you’d find in other RPGs. The game is given all the more personality when you talk to NPCs, who often put that aforementioned humor on full display. In case that weren’t enough, Super Mario RPG features a myriad of entertaining mini-games and side quests, some of which are exceptionally well hidden. Being released at the tail-end of the Super Nintendo’s life cycle, Super Mario RPG pushed the console’s capabilities to their limits. Super Mario RPG features highly detailed environments and an isometric perspective to give the game something of a 3D quality, with character graphics that are comparable to the Donkey Kong Country sequels (one enemy monster even resembles good ol’ DK, perhaps to emphasize this). However, the best aesthetic qualities of Super Mario RPG are in its sounds. Composed by Yoko Shinomura – famous for her soundtracks of Street Fighter II and the Kingdom Hearts series – Super Mario RPG’s score is her masterwork, encompassing a wide range of styles and emotions, and captures that distinct Mario personality while also creating an identity unique to itself. The SNES is widely regarded for the stellar soundtracks of its games, and Super Mario RPG is second only to Donkey Kong Country 2: Diddy’s Kong Quest for the title of best musical score on the platform. It’s an all-time great gaming soundtrack. Sadly, while Super Mario RPG: Legend of the Seven Stars remains one of Mario’s most memorable adventures, it seems to be the only entry in the entire franchise that was to be a one-and-done deal. 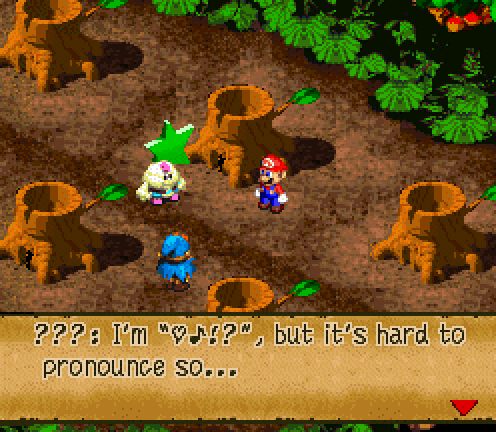 It may have influenced spiritual successors in the Paper Mario and Mario & Luigi series of RPGs – which improved on a few individual elements (Paper Mario introduced on-screen button cues during attacks) – but none of them have captured the same magic of the whole experience that Super Mario RPG did, nor have they left the same kind of unique impact on the overall Mario series. 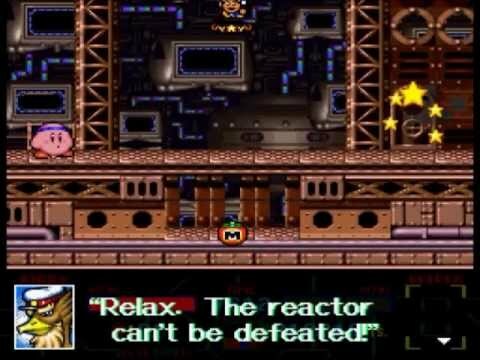 If anything, Super Mario RPG’s isolation from the rest of the Mario series has only helped it endure as one of the most beloved entries in the franchise’s peerless history (it’s even helped inspire games such as Undertale). Here’s hoping that, someday, we might see Super Mario RPG’s legacy continue in some form. 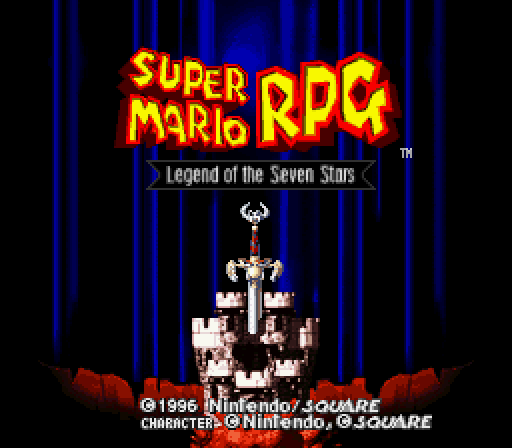 For now, however, Super Mario RPG: Legend of the Seven Stars can at least still claim to be among Mario’s greatest adventures, and one of the best RPGs of all time. A legend indeed. The Super Nintendo Entertainment System had a way of bringing out the best in Nintendo’s most beloved franchises. Mario began the SNES with a bang in the form of Super Mario World – and would later create a whole genre with Super Mario Kart, before pushing platformers even further with Yoshi’s Island, and ultimately breathing new life into the RPG genre – while Zelda and Metroid both received installments so definitive that they served as the blueprints for their series from that point onward. And let’s not forget the reinvention of Donkey Kong that saw an entire trilogy hit the console. Kirby, Nintendo’s secret weapon of consistency, was certainly no exception. After a duo of spinoff titles hit the SNES, Kirby once again worked the nightshift for an established Nintendo console while a newer one (the N64) had already hit the market, this time with two very distinct adventures. The first of this duology of SNES Kirby classics was Kirby’s Super Star, a title which remains arguably the most beloved entry in the entire series. It’s not hard to see why Super Star has gained it’s lofty status in the franchise. It was with this entry where Kirby’s copy abilities became more than singular moves, with most abilities boasting an entire moveset. The game also included the most copy abilities up to that point, with memorable additions to the lineup like the Dragon Ball-esque Plasma, and the EarthBound-inspired yo-yo. 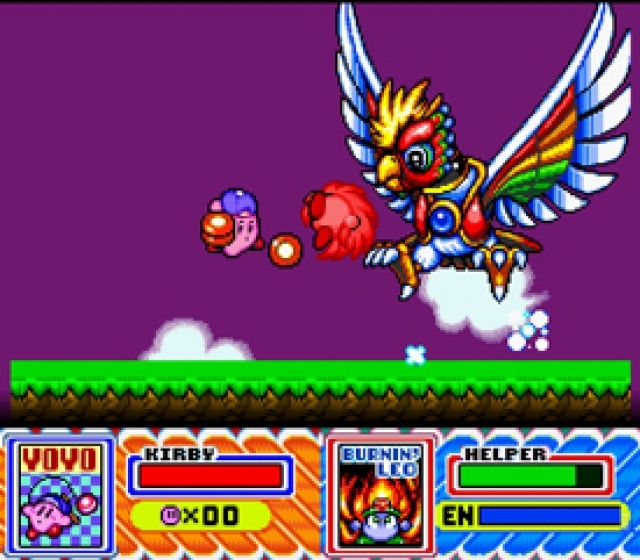 Super Star also brought co-op into the series, with Kirby being able to turn a copy ability into a ‘friend,’ allowing a second player to aid Kirby as one of the pink hero’s usual enemies. And with so many copy abilities, Kirby and his ally have no shortage of play styles. Okay, so maybe one shouldn’t expect an SNES game to have eight whole side-scrollers in it. But when two of the eight titles are merely mini-games (one of which being a samurai re-skin of one of Kirby’s Adventure’s mini-games), it does dampen the prospect of eight Kirby games being included in the package. A third, slightly larger mini-game is also present in the form of Gourmet Race, which pits Kirby in a race against King Dedede (while also introducing one of the series’ best tunes). The ‘proper’ games include Spring Breeze, a remake of the original Kirby’s Dream Land now featuring copy abilities; Dyna Blade, a short adventure in which Kirby ventures to stop a powerful bird; The Great Cave Offensive, a Metroidvania that sees Kirby scavenging for treasures; Revenge of Meta-Knight, where Kirby prevents an uncharacteristically villainous Meta-Knight from conquering Dream Land; and Milky Way Wishes, a title which changes up the Kirby formula while implementing elements from the other games. Sadly, both Spring Breeze and Dyna Blade – while fun – end almost as soon as they begin. Revenge of Meta-Knight feels like a more complete adventure, and adds a more serious tone to the proceedings, one which has found its way into subsequent games in the series. It’s Great Cave Offensive and Milky Way Wishes that feel like the main events, however. Great Cave Offensive proves the Metroidvania formula works wonders with the Kirby series, and it’s a wonder why Hal hasn’t dipped their toes into such waters more often (they have since only revisited the concept in Kirby and the Amazing Mirror). Milky Way Wishes mixes things up by removing Kirby’s ability to copy his foes’ powers by inhaling them, instead progressively unlocking each power to use at any time, should he be able to find them. These two re-workings of the standard Kirby gameplay bring an additional puzzle solving and exploration element (figuring out which powers to use where), and add a sense of depth that may be lacking from the other games in the package. To top everything off, the game still looks visually stunning; with bright, cartoony graphics that haven’t aged a day. What’s better is that each game in the compilation finds a way to add their own visual distinction to the mix – whether it be the more gritty, machine-based locations of Revenge of Meta-Knight or the starry skies and palette-swapped enemies of Milky Way Wishes – while still fitting into one, cohesive whole. As is the standard for the series, these visuals are complimented by a terrific and often-overlooked soundtrack, which captures as much variety as the games themselves, and should leave a lasting impression on players. Is Kirby Super Star the best title in the series? That’s a tough call, seeing as Kirby has never made any notable missteps. But it may just be his definitive title in that it seems to be the one most subsequent entries have tried to live up to. Dream Land got things started, and Adventure gave Kirby his signature mechanic, but Super Star is the entry that established much of what we continue to see in the series even today. 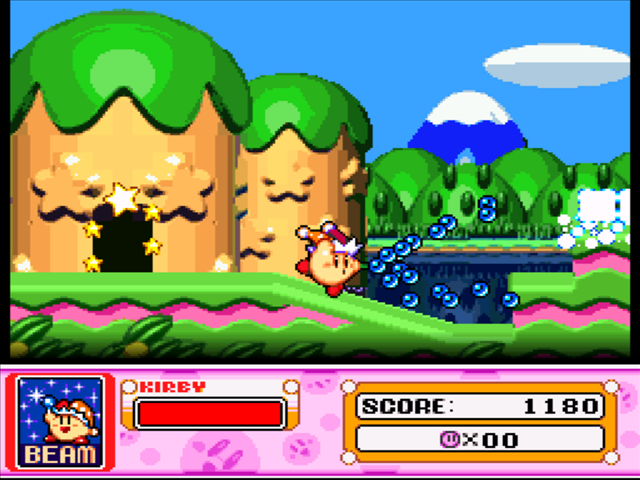 Not every game in the compilation may be equals, but when Kirby Super Star works, it’s impossible not to be won over. Good ol’ Kirby. Nintendo’s most underappreciated of workhorses has never truly got the recognition he deserves, often held down in the shadows of Nintendo’s more prominent franchises like Mario, The Legend of Zelda, and Metroid. Sure, he may not have a title quite as heralded as Super Mario World or Ocarina of Time to his name, but Kirby has also never had any atrocious edutainment titles or CDi games under his belt, either. Nor does his series house a game anywhere near as bad as Metroid: Other M. When a series’ worst entry is still a game as charming and creative as Kirby Air Ride, I’d say it’s doing alright for itself. Kirby is usually known for his 2D platforming adventures, which are easier and friendlier than Mario or Donkey Kong’s journey’s in the same genre. Kirby is a gloriously overpowered character, being able to eat enemies, copy their abilities, and even fly over hazards. But the series has never not been fun, and that remains true even for Kirby’s spinoff titles. 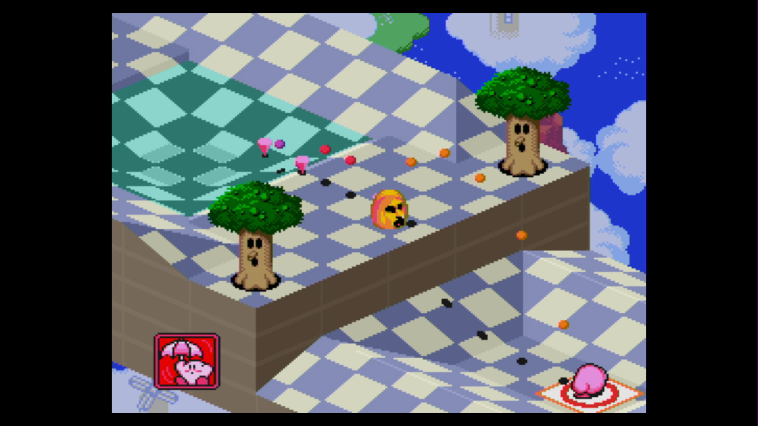 Perhaps one of the most under-the-radar Kirby titles – and the out-of-left-field entry in the SNES Classic Edition – is Kirby’s Dream Course, which combines the colorful world of Dreamland with miniature golf. This 1994 SNES title sees Kirby transported to isometric golf courses, where the goal is to defeat all enemies – save for one – on a course. Once these enemies are defeated, the final foe becomes a hole which serves as the stage’s goal. Get Kirby into the hole within a set number of turns, and you can move on to the next stage. Kirby is controlled here like a golf ball, with players able to adjust the power, angle and spin of Kirby’s movements. 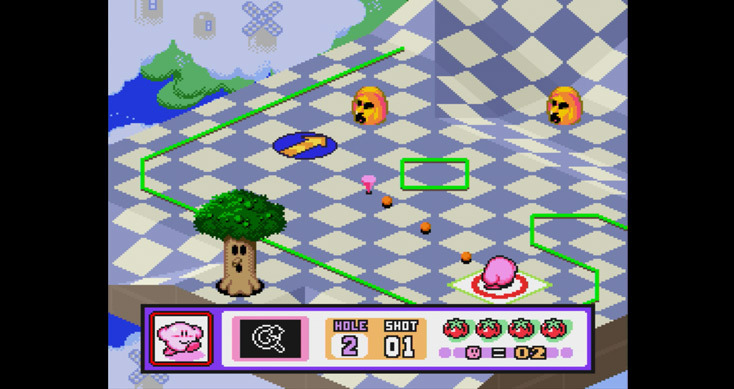 As in golf, the player receives a better score if they can get Kirby into the hole in the least amount of turns, but being a video game, Kirby loses a life if too many turns are taken. 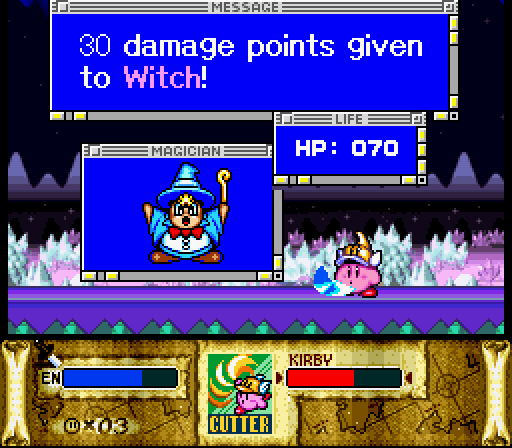 Players can gain extra turns when Kirby defeats an enemy and makes it into a goal, but will lose turns when hit by an enemy attack, and will immediately lose an entire life if he falls off a stage. It’s a simple setup, but the core gameplay is a lot of fun. Better still is that Kirby’s copy abilities have found their way into the mix, with Kirby gaining an ability when he defeats a foe that happens to possess one. The powers can then be activated by a press of the B button once Kirby is on the move. The wheel power, for example, will boost Kirby’s speed so he can glide on water and move easily through tough terrain, while the stone ability will bring Kirby to an immediate halt, which can be a lifesaver on more elaborate courses. If there’s any notable complaint to be had with the gameplay, it’s that – for a game with a pretty unique setup – Kirby’s Dream Course doesn’t exactly do the best job at giving the player a decent learning curve. The simple act of ‘striking’ Kirby can be a little confusing if you jump right into things, and although there’s a tutorial available to help out with that, it fails to explain some of the finer details of the experience (such as giving Kirby light boosts with the A button). The same applies to the aforementioned copy abilities, with the game more or less leaving you to guess how their individual physics will affect those already present in the game. It’s not overly cryptic, but for a Kirby game to be cryptic at all seems strange. Visually, the game is another impressive showcase of the timeless colors and charms of the SNES, and the sound effects and music are delightful remixes of classic Kirby tunes. And while the single player adventure may feel a little repetitive at times, a two-player competitive mode gives the game some nice replay value, with players taking turns to see who can best a course the quickest. Kirby’s Dream Course may not be one of the most remembered Kirby games, but it is another testament to the pink hero’s often-overlooked versatility. While Mario frequently reaps praise for his chameleon-like ability to blend into any genre, Kirby has been doing the same thing for nearly as long, but to much littler fanfare. And though Mario’s offshoots usually deserve their praise, when it comes to golf, Kirby has the former-plumber beat. The later Mario Golf on Nintendo 64 looked and felt like a typical golf game, but with Mario characters attached. Kirby’s Dream Course, on the other hand, actually feels like what golf might be like in Kirby’s whimsical world. Contra was one of the pioneers of the run-and-gun genre, made famous by its hectic action, steep challenge, and for popularizing the Konami Code. On the NES, Contra became one of the premiere third-party franchises for the console. It made perfect sense then, that Contra would make the jump to the Super NES, like so many other NES franchises did. But while the likes of Mario, Zelda and Mega Man found new life on Nintendo’s 16-bit machine, Contra’s leap to the SNES felt more like a continuation of the NES games, as opposed to their evolution. There’s still fun to be had with Contra III, though playing it today, it seems less impressive than many of its SNES peers. The setup remains the same, with one or two players taking control of musclebound heroes who are armed with machine guns of unlimited ammo. You run, jump and shoot your way through stages, fight waves of enemies, and take on massive bosses. It’s standard run-and-gun action, but there are some fun twists added to the mix. Notably, you can carry two different weapons at once. Picking up power-ups gives you new weapons – such as powerful lasers or the impossibly useful homing missiles – and you can carry two power-ups at a time by picking them up when a different weapon slot is selected. But should you die (and you will), you will lose whichever power-up you had in the selected slot when you died. 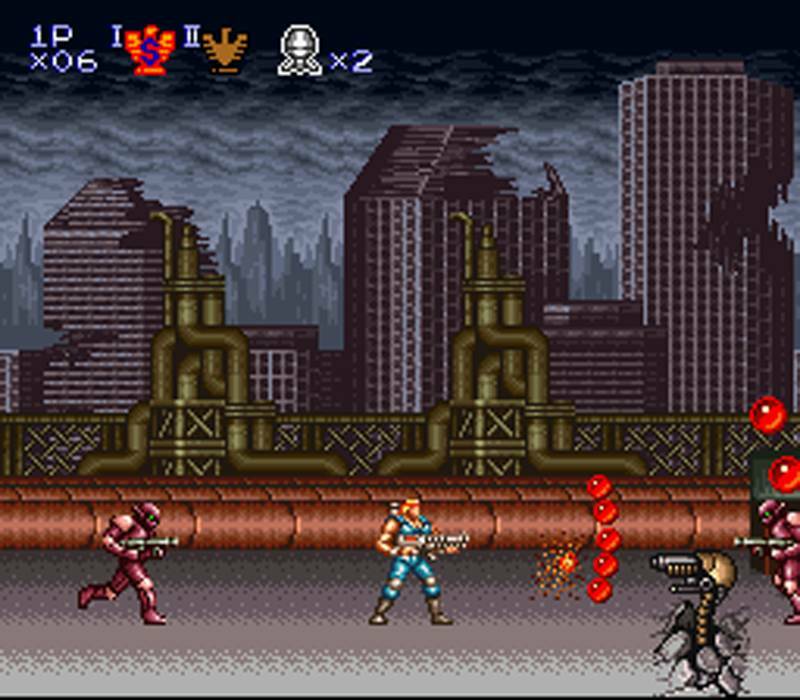 This makes it rather difficult to hold onto weapons, because Contra III is no slouch in the difficulty department, with a single enemy attack costing you a life. With how often the screen fills up with enemies, it can be hard to master your way around them to survive. And that famous Konami Code doesn’t work here, so there’s no easy access to extra lives. You have to tough it out the old fashion way. On the bright side, you can find extra lives by defeating certain enemies or destroying certain objects, and you have a few continues to hold onto. On the downside, many enemy projectiles are incredibly small and hard to make out, so you’ll often get killed by an enemy shot that you didn’t even notice because of everything else that’s going on. Worse still, if you run out of continues, it’s back to the beginning of the game. Admittedly, no matter how often you have to start over, you aren’t going all that far back, because Contra III only boasts a grand total of six stages. This means that Contra III is an incredibly short game, even for its day. 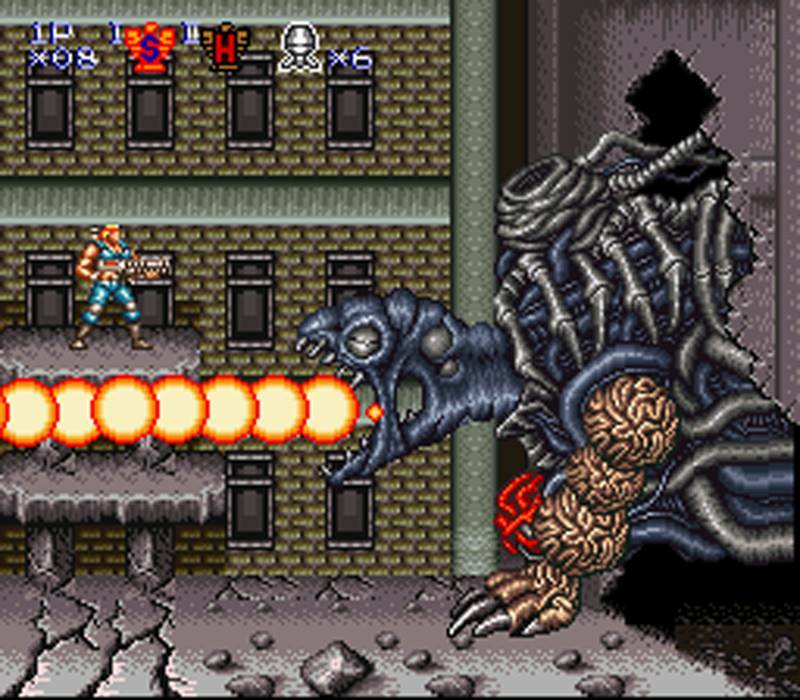 While the SNES saw many franchises grow bigger when they made the jump to 16-bits, Contra III feels more like an NES game with a visual overhaul. Back to the bright side of things, that visual overhaul comes with some benefits, the best of which being the second and fifth levels, which ditch the sidescrolling action in favor of a top-down perspective. Taking advantage of the SNES’ scaling and rotation capabilities, players can spin their character 360 degrees by the presses of the shoulder buttons. These stages make for a nice change of pace, and add a little variety to the equation. Contra III: The Alien Wars remains a fun and exciting run-and-gun title, and provides a truly testing challenge, especially for two players. But it also feels a tad shallow, and maybe even a little outdated, due to its exceptionally short length. Though many still regard Contra III: The Alien Wars as an SNES classic, it feels more like a “pretty good” NES title that just happens to be 16-bits. There is no questioning that Street Fighter II is one of the most impactful and important video games ever made. It single-handedly created the fighting game genre, and it could be argued that multiplayer and competitive gaming was forever influenced by it. Street Fighter II was such a success that Capcom continued to re-release the game under various new guises (a trend that continues even today with Ultra Street Fighter II on the Switch). Some of these subsequent releases featured notable changes such as additional characters, others had more subtle gameplay and balancing tweaks. The first such re-release was Street Fighter II: Championship Edition, which turned the four boss characters playable and allowed two players to pick the same characters. After that came Turbo: Hyper Fighting which, although containing the same detailed mechanics as the previous installments, is one of the lesser additions to the legendary title. Street Fighter II Turbo: Hyper Fighting retains the same basics as the original Street Fighter II, with a single player being able to take on the other characters in the arcade-style story mode, or two players can duke it out amongst each other in what was always the game’s biggest draw. 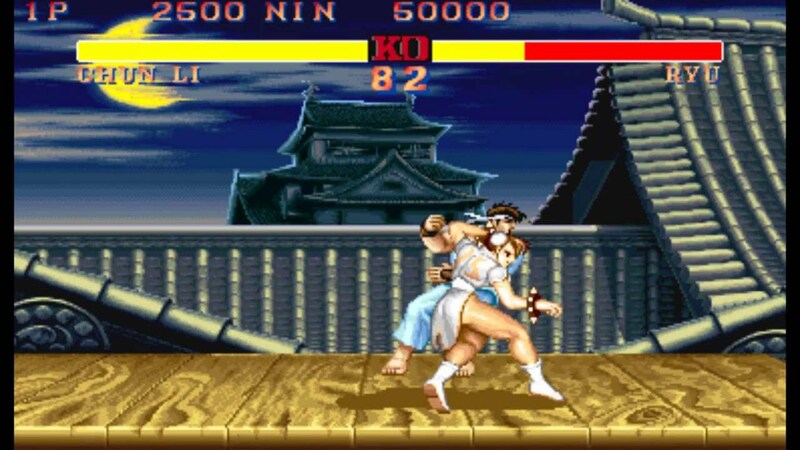 The fighting mechanics of Street Fighter II were always deep and intricate, and that all remains true here (though so do the original game’s shortcomings, namely stiff character movements and many moves taking a good chunk of health, making for some disappointingly short matches). Turbo: Hyper Fighting also retains the four additional playable characters from Championship Edition, along with the eight originals, so there’s plenty of variety to be had in the combat. So what’s different this time around? Well, true to its name, Turbo: Hyper Fighting includes a faster playing speed called Turbo mode, which makes the combat more hectic, and is definitely a test for one’s Street Fighter abilities. The characters also have a few new moves in their arsenal, such as Chun-Li now being able to throw a fireball and perform the Spinning Bird Kick in midair. Additionally, there are other, smaller tweaks to the game balance. These changes are certainly welcome, and probably improve the overall experience. Likewise, the 16-bit graphics and iconic music are as pleasing as ever. But knowing that even more polished and enhanced versions of Street Fighter II were released shortly after, you have to wonder why Nintendo (or Capcom) decided to re-issue this relatively minimal version of Street Fighter II for the SNES Classic Edition. For its time, it may have refined the experience, but in a post-Super Street Fighter II world, it can be a little difficult to look back. One change that isn’t so welcome is the enemy AI when playing alone. You’d hope that when refining the game, Capcom would have done the same with the AI, but the computer opponents of Street Fighter II: Hyper Fighting are frustrating for all the wrong reasons, as they spam the same moves ad nauseam. Fighting against a tough opponent is fine, but when Ryu starts cheesing the Hadouken more frequently than even your cheapest gaming friends, it’s more annoying than it is difficult. Street Fighter II remains one of the most influential video games ever made, and one of the few that can boast it created an entire genre. But each subsequent iteration was an improvement over the last, which makes the previous versions lose a little bit of their luster when playing today. When the superior Super Street Fighter II Turbo, as well as Street Fighters III and IV exist, Turbo: Hyper Fighting comes off as a little underwhelming, competent and fun though it may be. The Punch-Out!! series is one that many Nintendo fans remember fondly from the big N’s golden age, and with good reason. Though it seemed simplistic, Punch-Out!! boasts the same level of intricacy and depth that Nintendo games are known for. But it also seems relegated to the lesser echelon of Nintendo titles, laying dormant once Nintendo made the jump to 3D up until the series made a triumphant return on the Wii in 2009; only to once again fall off the radar in the years since (but at least series’ hero Little Mac has made it into Smash Bros. now, though he probably should have made the cut a few entries earlier than he did). 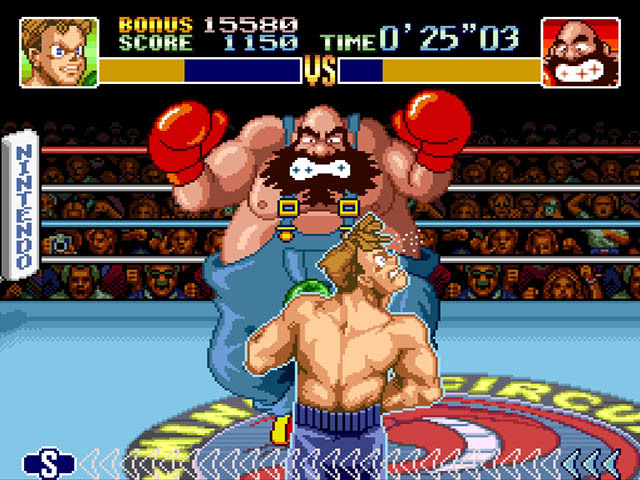 The series’ final entry in its heyday was Super Punch-Out!! on the SNES, which remains a stellar experience to this day…even if it can get frustratingly difficult at times. In Super Punch-Out! !, players take control of a very different-looking, more blonde Little Mac, and fight their way through the boxing world to become champion. The game features three normal circuits to fight through, each consisting of four opponents (three foes to climb the ranks, plus that cup’s champion), with a secret fourth circuit being unlockable if you can make it through the other three without losing (and good luck with that). 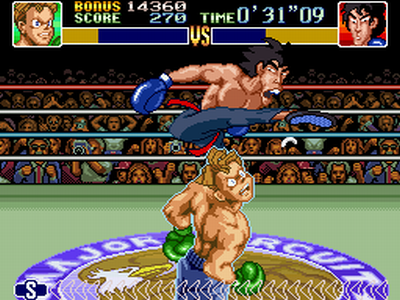 Though the NES game displayed the action from a top-down view, the jump to the SNES meant the series could now take advantage of then-new graphical effects, with Little Mac being made transparent during fights to give players a much more welcome third-person perspective. The controls are simple enough; move left, right and backward to dodge enemy punches, press B to throw a right hand, and Y to give your opponent a mean left hook. Pressing the buttons on their own strikes at the opponent’s body, while pressing up on the D-pad with the buttons takes a strike at their head. Additionally, every hit you successfully land builds up a meter at the bottom of the screen. When this meter completely fills up, you can press the A button to unleash more powerful attacks as long as the meter remains full. Of course, every time Little Mac takes a punch, the meter drops. This is all simple in structure, but in execution it makes for some surprisingly deep strategy. You have to constantly play close attention to your opponents’ movements and patterns, so you know what kind of punch or dodge to use at which time. This is made all the more strategic by the fact that every opponent fights differently. Some may fake-out punches before going for the real thing, others have strong midsections and can only be hurt by a punch to the face, and others completely break the rules of boxing by jumping off the ropes. Learning every enemy’s strategy is key to victory, and if you can master them well enough, you can even manage to fell your opponent before the standard three knockdowns. On the downside of things, there does seem to be a little bit of a trial-and-error method to some fights, particular opponents who posses one-hit KO moves. On its own that’s not a terrible thing, but seeing as you have to start a circuit over should you get a game over, it can get a little annoying when you finally manage to defeat some particularly difficult opponents, only to lose to one of the more trial-and-error fights and have to go through each opponent all over again. Another questionable element is that every fight has a three minute time limit, and if you fail to knock your opponent out within that time, you automatically lose. You could potentially knock your opponent down twice, and take very little damage in return, but you’ll still lose if the clock strikes the three minute mark. Whatever happened to winning by decision? These complaints are ultimately minor, however, when you consider how much fun the overall package is. 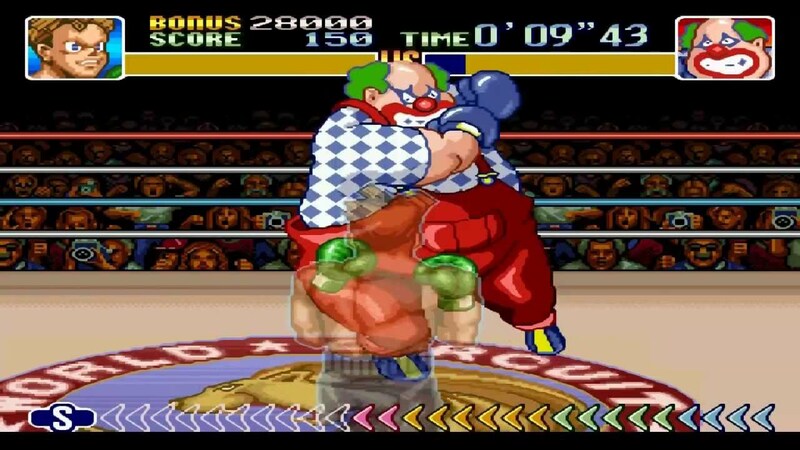 Along with the deep combat, Super Punch-Out!! is bursting with personality. Every character is an outlandish cartoon caricature; from Bruce Lee knockoffs to Bob Marley parodies. There’s just so much humor and charm in every fight that it becomes all the more enjoyable. The upgraded graphics from previous installments help bring out this personality all the more. The character animations are incredibly detailed, and you’d be surprised just how extravagant the character movements and expressions can be, considering this was on 16-bit hardware. Super Punch-Out!! is a refinement of the NES entry in the series, and remains a whole lot of fun to play today. Only truly dedicated players will probably finish all four of its circuits, but Super Punch-Out! !’s simple controls, deep combat and boatloads of personality make for some great entertainment, not to mention replay value. Here’s something many Nintendo fans thought would never happen, Star Fox 2 has actually been released! This sequel to the original 1993 Star Fox on the SNES was famous for being completed, but never officially released. The N64 was on the horizon, and Nintendo didn’t see the need to release Star Fox 2 when Star Fox 64 would soon become a reality. But here we are, in 2017, and the release of the SNES Classic Edition comes bundled with the previously unreleased Star Fox 2. But after over 20 years of wondering, just how well does Star Fox 2 live up to the hype? From the outset, Star Fox 2 looks very much like its predecessors: It features the same (admittedly aged) 3D visuals, and the levels featured are still on-rails shooters. But Star Fox 2 makes some notable changes to the formula. You’ll notice an immediate difference in that, instead of players taking control of Fox McCloud and being accompanied by his three most loyal teammates (Peppy Hare, Slippy Toad and Falco Lombardi), the player gets to select a primary pilot and a wingman. Along with the four core characters, players can also select new characters Fay the dog and Miyu the lynx. Should your primary pilot be shot down, you’ll take control of your wingman. Perhaps the game’s biggest departure from the original is its setup itself. While the original Star Fox (and subsequent Star Fox titles) used linear, branching pathways to get from level to level, Star Fox 2 instead goes with a more free-roaming world map, which feels akin to a board game. 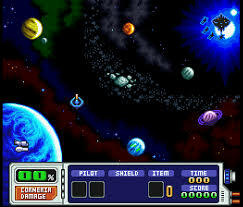 The player’s ships can travel around the Lylat System as they please, with certain planets containing enemy bases, and enemy carrier ships floating in space. 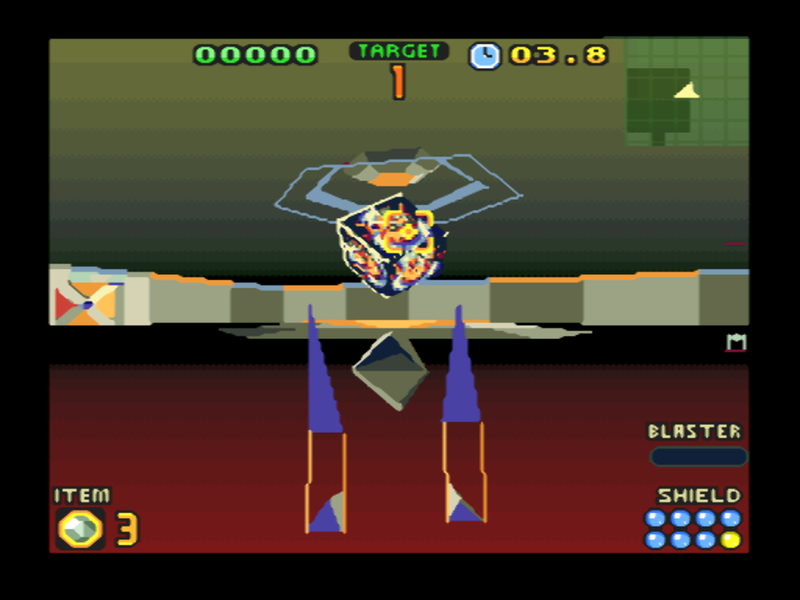 When the player reaches a planet or carrier, they enter one of the traditional Star Fox levels, where objectives usually involve destroying the base or ship by making your way to their core. Additionally, the carriers will send out ships on the world map, and the bases will launch missiles. If you come into contact with these ships or missiles while traversing the map, you will enter a small stage where you must destroy those objects. It’s important that you take the time to do so, because these ships and missiles can make their way to the planet Corneria, dealing damage with every impact. Should Corneria reach %100 damage, the game is over. You may even find yourself having to exit a stage to ensure Corneria doesn’t take any extra damage. It may not seem like that big of a change, but it actually makes the progression feel more unique and enjoyable than the original game. Not everything is an improvement over the first Star Fox title, however, as many of its predecessor’s shortcomings are still present in Star Fox 2. Namely, the controls during the first-person segments feel more than a little clunky, especially the act of maneuvering your ship and aiming with the D-pad at the same time. Even when your ship is flying in a third-person view, the controls are less than ideal, though they are better than the first-person segments. A new feature in Star Fox 2 is the ability to transform the Arwing into “Walker mode,” in which your ship turns into something of a small mech. This gives the player more control over the vehicle (for obvious reasons, the Walker doesn’t automatically move like the Arwing), and is an overall nice change of pace from the on-rails gameplay. Star Fox 2 is a marginal improvement over the original Star Fox, thanks to its more unique, board game-like setup, which allows for some more varied levels and progression; and the Walker is small but nice addition to the core gameplay. Unfortunately, the control issues are still present, and the rough, early 3D visuals can make things even more difficult. Not to mention Star Fox 2 may be even shorter than the first game (though this is a title more about getting a better score with each playthrough than it is about a grand adventure). It’s not quite the long-lost gem we’d all hoped it to be, but i’s just kind of nice to finally play it.